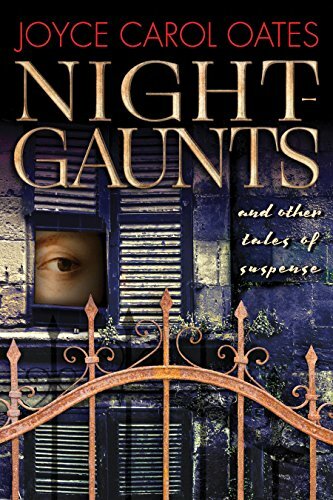 Night-Gaunts and other Stories by Joyce Carol Oates is a collection of six previously published short stories that attempts to reconnoiter the fragile forces that often exist between desire and disgust. Oates is the author of such national bestsellers as The Falls, Blonde, and We Are the Mulvaneys. She was the recipient of the 1970 National Book Award for Them and the 2010 President’s Medal for the Humanities. The book opens with “The Woman in the Window,” selected for The Best American Mystery Stories 2017, a reimagining of Edward Hopper’s Eleven A.M., 1926: A woman, naked except for her high-heels, waits for her lover near the window in a blue armchair—with something sharp concealed under the cushion. In this story the reader enters the minds of both the woman and her married lover, each consumed by alternating thoughts of disgust and arousal, as he rushes, amorously, murderously, to her door. Although the first story starts out nicely, the highly touted “tales of suspense” don’t quite live up to the hype and the cohesiveness of the collection just falls flat and uninspiring. The whole assemblage feels extremely voyeuristic as we witness each character in the midst of their routine and mundane lives. They shuffle through this intimate, and often remorseless life, living on the peripheries of a much larger elusive existence. As each story develops we quickly begin to recognize and understand that each character has some sort of moral dilemma that’s consuming their souls. These predicaments become obsessive and delusional and consume them to a point where they have become paralyzed from moving forward. Overall, there’s an oddness to the prose that isn’t easily explained and connecting with the characters is difficult. There wasn’t anything about the stories that was very suspenseful or mysterious. In the end as we traverse the complex labyrinth between purpose and scruples, we’re left with more questions than answers.